Today, we have found some laptop deals on Paytm Mall from brands like Lenovo, HP, Dell and more. A slow laptop is a nightmare for all of us as it can terribly affect our productivity. 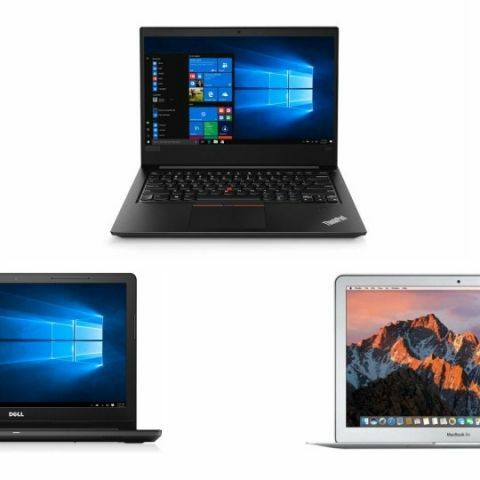 If you’re looking for an upgrade then this might be the best time to grab a new laptop. Today, Paytm Mall has a lot of cashback offers on laptops from well-known manufacturers like Lenovo, HP, Dell and more. The Lenovo ThinkPad E480 is powered by an Intel Core i3 7th Gen processor, which is paired with 4GB DDR4 RAM and 1TB hard drive. The laptop is Bluetooth 4.1 enabled and comes with installed Windows 10, which means one does not need to install an OS separately. Click here to buy. The Dell Inspiron 15-3567 comes with an Intel Core i3 6th Gen processor. The device packs a 4GB DDR4 RAM and 1TB hard drive. It also has an Intel HD 520 DDR4 graphics card. The laptop is installed with Windows 10, Hence you do not need to worry about installing one separately. Click here to buy. The Asus Vivobook X507UA-EJ180T is powered by an Intel Core i3 6th Gen processor, which is paired with 4GB DDR4 RAM and 1TB hard drive. It sports a 15.6-inch FHD display with a resolution of 1920 x 1080 pixels. The laptop also features a fingerprint sensor with Windows Hello. Click here to buy. The HP 15 BS662TU sports a 15.6-inch FHD display with a resolution of 1920 x 1080 pixels. The machine is backed by an Intel Core i3 7th Gen processor, which is paired with 4GB DDR4 RAM and 1TB hard drive. it also features Intel HD 620 graphics. The laptop comes with installed Windows 10 OS. Click here to buy. The Apple MacBook Air is powered by an Intel Core i5 5th Gen processor, which is paired with 8GB DDR3 RAM and 128GB hard drive. The laptop is equipped with an Intel HD 6000 graphics and comes with macOS Sierra operating system. Click here to buy.